Australian Hiker turns two years old! 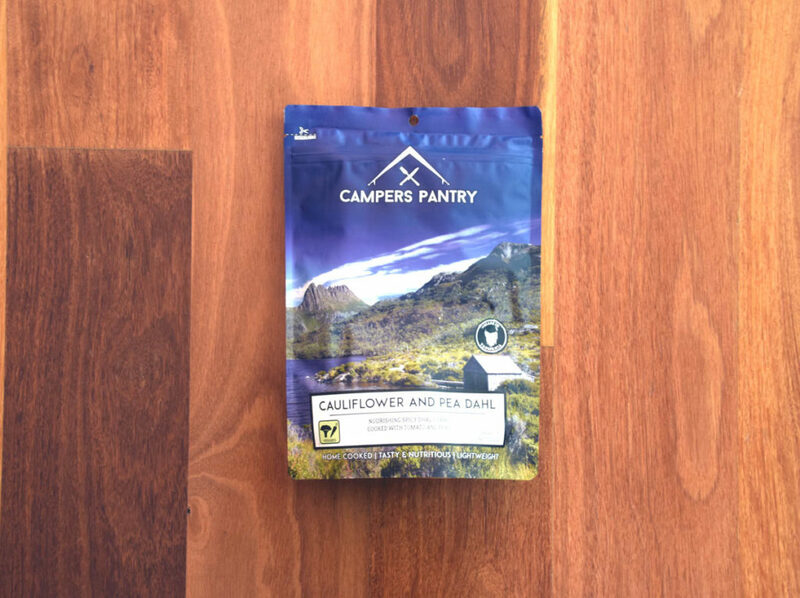 We have been eating Campers Pantry meals on our hikes ever since they came on to the market and now use their products extensively. To help us celebrate our second birthday Campers Pantry has generously provided two prize packs to give away. Read on to find out more about how to win! PLEASE NOTE THAT THE COMPETITION FOR PRIZE PACK #1 HAS NOW CLOSED. Prize pack #2 is still up for grabs. 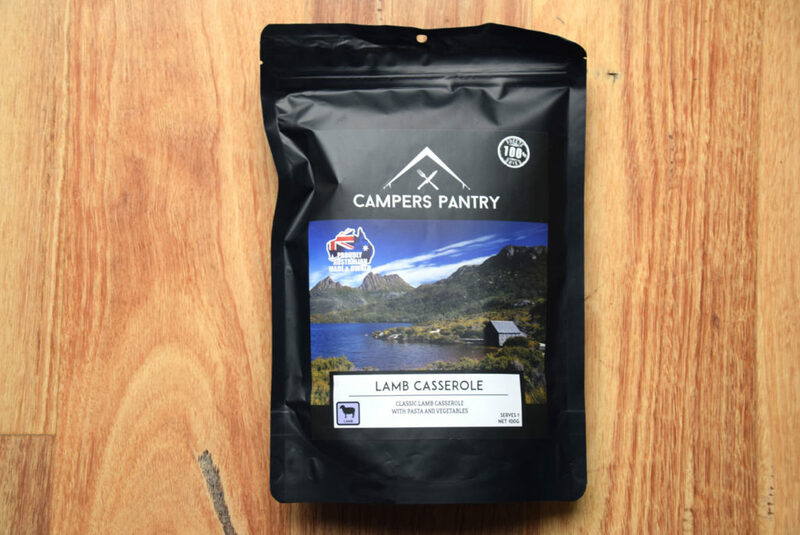 Campers Pantry is the newest entrant into the Australian freeze dried meal market that was already well catered for by both Back Country Cuisine and Outdoor Gourmet. 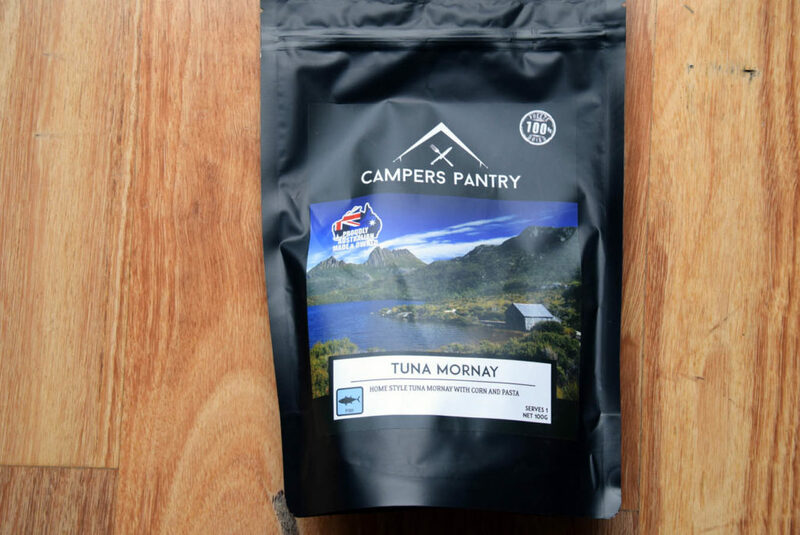 Instead of just replicating the exisiting meal choices Campers Pantry has been very smart in introducing different meal options and in also producing larger size single serve meals, that with one exception, weigh in at 110 grams. The single serve size is currently the only sizing they offer. This is about 20% bigger than the single serve Back Country Cuisine meals and while this doesn’t sound like much it will suit the large eaters out there who don’t necessarily want to go for a twin serve meal option. For me this means that on multi week hikes I can step up my food intake rather than having to jump from a single serve meal to twin serve meal in one go. 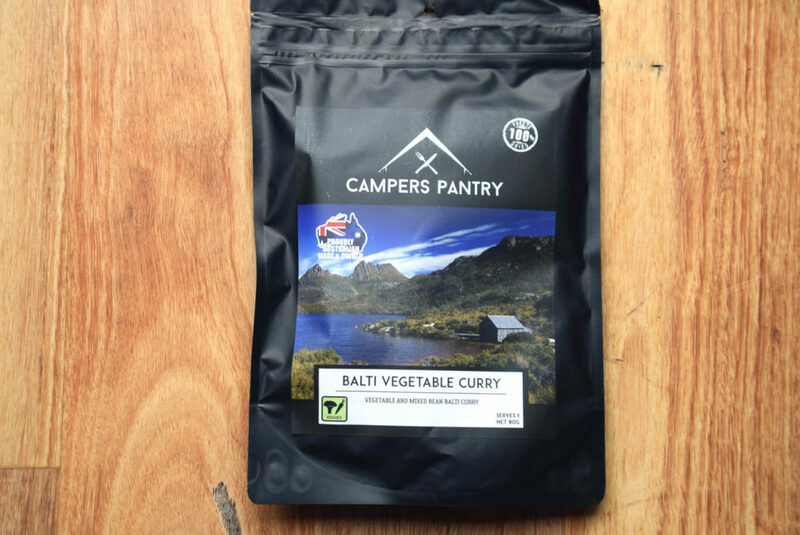 Currently Campers Pantry produce ten main meal options which also include two vegetarian choices. 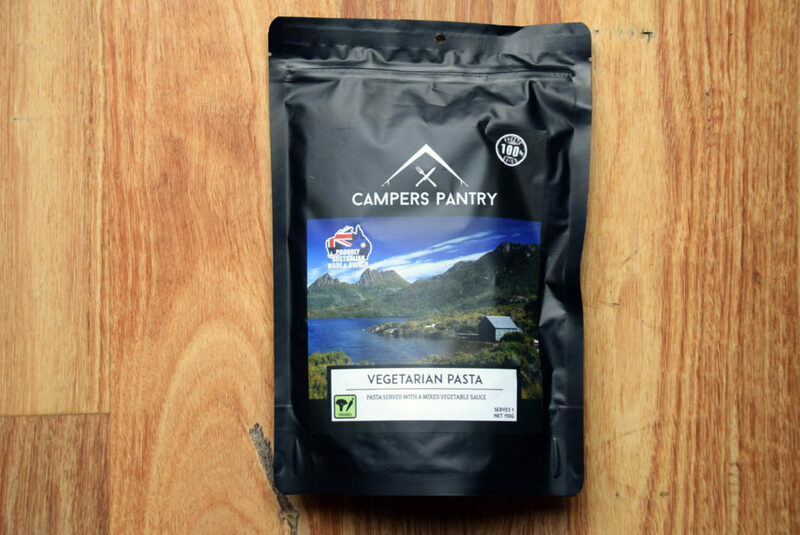 Usually I like my meat but with Campers Pantry I am a fan of both their vegetarian options which is why both made my top 5. Please note I have a love of spicy food and a good curry for me is one that makes my head sweat. I also dislike flavour enhancers and emulsifiers that are present in some meals. Some of the Campers Pantry meals do have flavour enhancers but as someone who is sensitive to them it was hard to pick. While I realise everyone’s taste buds are different I think you will enjoy the meals we have selected. 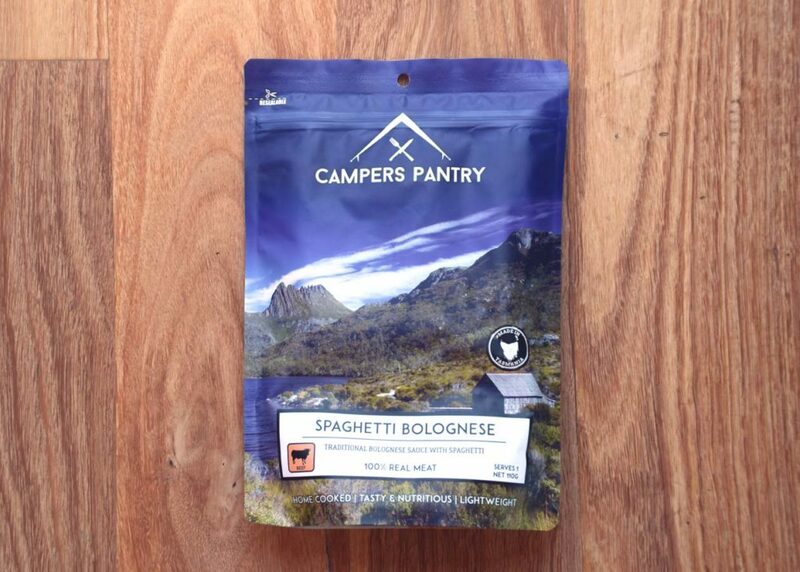 My favourite meal from Campers Pantry and the best freeze dried spaghetti on the market at the moment. This meal will very firmly sit in my long distance hiking rotation. Surprise surprise there’s a vegetarian meal in my top 5 and for me this says a lot. While I usually prefer my curries spicier I really enjoyed this meal even though it is smaller in size than the other meals on offer from Campers Pantry. I was pretty happy with this third vegetarian offering from Campers Pantry and I’m usually not a fan of pasta and vegetable dishes.